A DIY real estate service is also often referred to as a fixed-fee, or commission-free real estate sales platform, providing homeowners with the tools to sell their properties without a real estate agent. Homeowners pay a flat fee to access an online platform that enables them to easily arrange things like signboards, listings on real estate sites (such as realestate.com.au and Domain), flyers and brochures, and open times with prospective buyers. If you choose this method of selling your home you’ll be in direct contact with potential buyers and engaging in dialogue and answering questions on the spot at your own Open Homes, following up with interested parties, negotiating with potential buyers as well as all the running around required before you actually accept and reject offers. 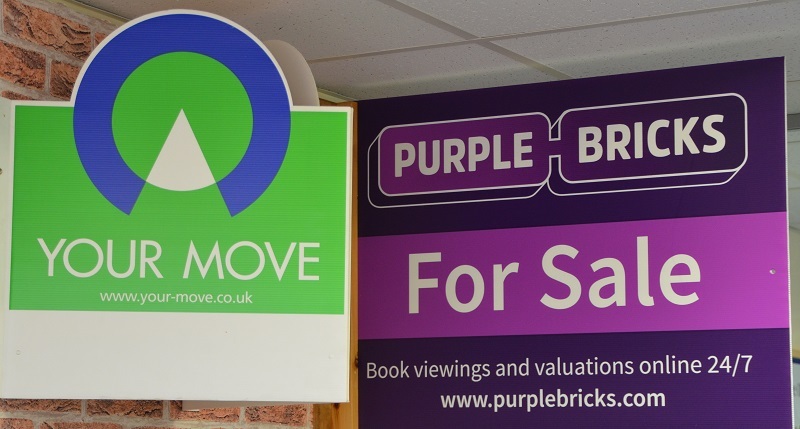 The U.K.-based Purplebricks is the most successful example. Launched in 2012, it’s now the largest real estate agency in the U.K., with annual revenue of £46.8 million ($84 million AUD). It listed on the London Stock Exchange in 2015. The largest real estate agency in the U.K. The success of Purplebricks and its Australian launch has given a number of DIY real estate sites in Australia a second wind — BuyMyPlace in particular. It was founded in 2007, and kicked around on the fringes for almost a decade before listing on the Australian Securities Exchange (ASX) in 2016. Since then, revenue has increased 94 percent to $2.1 million AUD year-over-year. The company introduced a new “full service” offering, which gives homeowners access to a licensed real estate agent to provide property valuations, and acquired a conveyancing business MyPlace Conveyancing last year. Through a partnership with finance company FlexiGroup, BMP customers can access finance to cover the cost of preparing their home for sale, conveyancing and so on. In its March quarter earnings call, the company also outlined its intentions to move into all aspects of the real estate transaction through partnerships with and acquisitions of removalist services, utilities connections services, trades services, mortgages and home loans, and legal services. What all this means it that, after years operating on the fringes, the DIY real estate proposition is gaining steady momentum, especially in Australia where it’s struggled to penetrate the real estate market. DIY real estate listings currently represent 3 percent of the Australian market, compared with 9 percent in the U.S., 14 percent in the U.K. and 23 percent in Canada, according to CoreLogic RP Data. But the DIY market has increased two fold in the past two years — from 1.5 percent when Purplebricks launched in 2016. And BuyMyPlace is aiming for the stars — or the maple leaf, at least — with its strategy to grow the DIY real estate market to match that of Canada’s, which would add at least 100,000 DIY listings to the market. It plans to capitalise on the downturn in the Australian property market, by helping Aussies save money selling their properties themselves through a suite of products and services. But, just how much can you save taking the DIY route? Purplebricks: For a private treaty sale in NSW or Victoria, Purplebricks charges a flat-fee of $5,999 (or $4,999 in QLD, WA and SA). A property valued at $1 million saves a minimum of $16,001 on the average agent commission of 2.2 percent. For an additional $770, homeowners can upgrade to receive unlimited open homes and private viewings. Properties sold at auction cost $7,369, which includes the cost of an auctioneer and unlimited open homes and private viewings. BuyMyPlace: Prices for BMP’s DIY service start at $695 and graduate up to $1,995. And depending on the package selected, homeowners could save between $20,005 and $21,305 in agent commissions of 2.2 percent on a property valued at $1 million. The company’s “full service” package (currently only available in the Melbourne metropolitan area), gives homeowners access to a real estate agent for $4,995, with an initial $2,995 payable upfront. Savings on agent commissions of 2.2 percent on a $1 million property: $17,005. ForSaleByOwner: The third player in the Australian market — albeit a very distant No. 3 — charges $699 for an “essential” package. For an additional $270, homeowners can upgrade from a “for sale” board to a photo signboard. Estimated savings: between $21,031 and $21,305 on agent commissions of 2.2 percent for a property valued at $1 million. Unlike other DIY real estate services, ForSaleByOwner also provides DIY commercial real estate and business sales services. Other DIY providers jockeying for market share include Hello Real Estate (which also offers fractional investing services and finance products) and Agent In A Box.